A fascinating look at compulsive hoarding by a woman whose mother suffers from the disease. To be the child of a compulsive hoarder is to live in a permanent state of unease. Because if my mother is one of those crazy junk-house people, then what does that make me? When her divorced mother was diagnosed with cancer, New York City writer Jessie Sholl returned to her hometown of Minneapolis to help her prepare for her upcoming surgery and get her affairs in order. While a daunting task for any adult dealing with an aging parent, it’s compounded for Sholl by one lifelong, complex, and confounding truth: her mother is a compulsive hoarder. 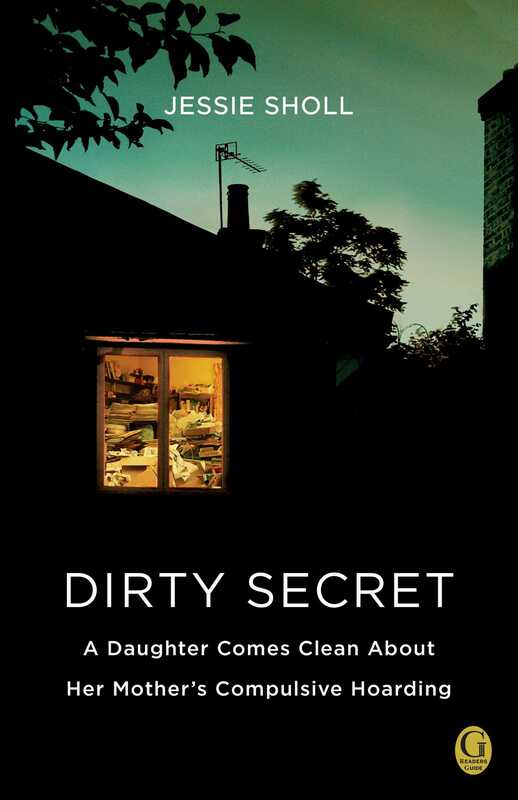 Dirty Secret is a daughter’s powerful memoir of confronting her mother’s disorder, of searching for the normalcy that was never hers as a child, and, finally, cleaning out the clutter of her mother’s home in the hopes of salvaging the true heart of their relationship—before it’s too late. Growing up, young Jessie knew her mother wasn’t like other mothers: chronically disorganized, she might forgo picking Jessie up from kindergarten to spend the afternoon thrift store shopping. Now, tracing the downward spiral in her mother’s hoarding behavior to the death of a long-time boyfriend, she bravely wades into a pathological sea of stuff: broken appliances, moldy cowboy boots, twenty identical pairs of graying bargain-bin sneakers, abandoned arts and crafts, newspapers, magazines, a dresser drawer crammed with discarded eyeglasses, shovelfuls of junk mail . . . the things that become a hoarder’s “treasures.” With candor, wit, and not a drop of sentimentality, Jessie Sholl explores the many personal and psychological ramifications of hoarding while telling an unforgettable mother-daughter tale. This reading group guide for Dirty Secret includes an introduction, discussion questions, ideas for enhancing your book club, and a Q&A with author Jessie Sholl. The suggested questions are intended to help your reading group find new and interesting angles and topics for your discussion. We hope that these ideas will enrich your conversation and increase your enjoyment of the book. In Dirty Secret: A Daughter Comes Clean About Her Mother’s Compulsive Hoarding, Jessie Sholl offers her readers a vivid look into the life of a hoarder’s family. Her mother’s curious disease, said to affect millions of Americans, causes Jessie to feel shame, embarrassment, and an unending desire to “cure” something she cannot fix. Through her mother’s battles with compulsive hoarding and colon cancer, her father’s serious heart attack, and a particularly stubborn scabies infestation, Jessie Sholl weaves together a new picture of a previously misunderstood disorder. 1. “Maybe this time it’ll work. Maybe this time it’ll stay clean” (page 10). Throughout the memoir, Jessie’s hopes are repeatedly raised and dashed as she tries to “fix” her mother’s illness. Find a moment in the book in which Jessie is particularly hopeful, and one in which she is plagued by hopelessness. What feelings does Jessie associate with each instance? 2. Though Helen and Jessie have always had a tumultuous relationship, Jessie quickly makes her way to Minneapolis when she finds out about her mother’s cancer. What does this say about their mother/daughter relationship? How does it relate to any mother/ daughter relationships you’ve been personally involved in? 3. “Clearly, Roger’s death had triggered my mother’s true hoarding. And what disturbed me most was that she couldn’t even tell” (page 16). Helen acknowledges that she is a hoarder, yet Jessie suspects she does not see the full extent of her disorder. Do you think there are moments when Helen feels remorse for her actions? If so, cite specific examples and discuss what may have triggered Helen’s awareness. 4. “Also, like many hoarders, my mother reports feeling safer when she’s surrounded by her possessions . . .” (page 27). Has there ever been a material object that you felt close to, one that made you feel safe? Discuss your feelings with the group. Why do you think this particular object drew so much of your attention? Can you imagine feeling that way about all of your material possessions, the way Helen does in the book? 5. What does each person in Dirty Secret fear the most? How do these fears affect his or her life, and do you think anyone has overcome his or her fear by the end of the book? If so, how? 6. One of the symptoms of compulsive hoarding is extreme indecision, a symptom Helen suffers from continuously throughout the book. How do you make difficult decisions? Discuss your decision-making tactics with the group. Has there ever been a time when you had difficulty making an important decision? How did you feel? 7. Sandy and Helen have some obvious differences, but are there any ways in which they are similar? Discuss with your group to see if you can find any hidden similarities. 8. “I liked having rules. I liked knowing that someone was aware of my whereabouts, that an adult was paying attention” (page 42). Teenage rebelliousness is common in our society, yet Jessie admits to craving structure. How do you reconcile her simultaneous desires to rebel as well as to adhere to a set of rules? 9. According to Jessie, she first became rebellious when she turned thirteen. To what extent do you think her rebellion was a reaction to her mother’s disorder? To what extent do you think it was natural teenage inclination? 10. “There’s no demonstrable link between hoarding and early material deprivation. But there is a link between hoarding and emotional deprivation. . . . Her cold and chaotic childhood home was the perfect breeding ground for the mental illness that would end up affecting us all” (page 81). Look back on the passages in which Helen’s childhood is depicted. Did they change the way you felt about Helen? If so, how? 11. “I get a thrill each time I discard something. Getting rid of things is liberating. It’s invigorating. It’s easy” (page 150). Do you think that Jessie’s need to throw things away is a reaction to her mother’s disorder? Discuss how your parents’ actions when you were a child affected your behavior today; in what way does your behavior mirror or reject your parents’ behaviors? 12. When Jessie and David’s potential subletter calls their apartment “dirty,” Jessie has a very strong reaction. Why do you think this was the case? 13. “I thought she’d finally understood the effect her behavior has had on me. I thought she even felt bad about it. I was wrong” (page 270). To what extent do you think Helen is aware of the pain she causes others, particularly Jessie? Are there moments in the book in which Helen is more acutely aware of her actions and their repercussions? 14. “And then I recognize it: Like stumbling upon the remains of a village buried by lava, the evidence of my last cleanup attempt lives on underneath. . . .” (pages 13–14). Why do you think Jessie continues to clean her mother’s house after numerous failed attempts? In the end, what is it that finally causes Jessie to separate herself from the house for good… at least, for now? 15. Toward the end of the book, Jessie remembers old advice she picked up during her mother’s time at The Club: “You can’t change anyone else. You can only change yourself ” (page 299). After numerous attempts, do you think Jessie is successful in any way in changing her mother? Similarly, what changes do you see in Jessie over the course of the book? 16. While hoarding is a specific disease, does it remind you of other illnesses such as alcoholism or drug addiction? Do Helen and Jessie’s struggles seem similar to those in a parent-child relationship when the parent has an alcohol or drug problem? In what ways are their struggles unique because of Helen’s hoarding? As a group, watch some of the popular television shows that focus on hoarding. Then, re-read the generally accepted definition of hoarding found on page 21. Discuss: In what ways do you think hoarding is depicted accurately in pop culture? In which ways to do you feel it is falsified, or sensationalized? Split your discussion group into two sections. Have one section make a timeline of the major turning points in Jessie’s life and the other make a timeline of the major turning points in Helen’s. After both timelines are completed, look for the major similarities and differences between the two. Then, discuss: Did the timelines add to your understanding of Jessie and Helen’s relationship? Of Helen’s disorder? If so, how? If you’re feeling particularly brave, do a Google search for “scabies,” like Jessie did. Warning: The results are not pretty. However, they may add to your understanding of the family’s bout with the disease. On page 239, Jessie offers a beautiful description of the village where she and David lived outside Rome. Try to find more information about and pictures of other villages that surround the city of Rome. If you were to create an “Italian self,” like Jessie does on the plane, what would your “Italian self” be like? To learn more about author Jessie Sholl and read her blog, visit her website at www.jessie-sholl.com. In her review of Dirty Secret, author Stephanie Elizondo Griest applauds you for your “ceaseless courage.” Where did you find the courage to begin writing such a personal book? Did the project become emotionally overwhelming at any point? First of all, I don’t feel particularly brave, and I’m very flattered by the idea that I had ceaseless courage. I wish it were true! The book began—in my head, anyway—about six or seven years ago; one day I happened to tell my husband about how I used to stare out the windows of my elementary school when I was ten and gaze back and forth between my mother’s house and my dad and my stepmom’s, and about the very different visceral reactions I had when I looked at each house. It was just a short anecdote, but as soon as I was done he said, “You know you need to write about this, right?” which of course I laughed off. But it ended up being the first scene I wrote for Dirty Secret. It wasn’t until I started writing health articles that I began to really think seriously about working on a book about hoarding. Especially after I joined the Children of Hoarders support group, because the shame and embarrassment that we all carry/carried around is just so ridiculous and unnecessary. Also, what helped while I wrote Dirty Secret was to push aside the thought that anyone was ever going to read it. Anytime I’ve written about myself I do that. I find it freeing and extremely helpful. In terms of the project becoming emotionally overwhelming, it did, but only after I turned it in to my editor. The next day a serious exhaustion hit me and all I wanted to do was sleep for weeks. Were you concerned at all about how your mom would react to the book? I wasn’t concerned because I asked her permission before I wrote a word of it—if she’d objected at all, I wouldn’t have written it. Thankfully, she was absolutely supportive of the idea. She read most of the book before it was published and loved it. Dirty Secret is the first memoir to be written by the child of a compulsive hoarder. How do you feel about breaking into uncharted territory? I’m proud to be the first person to write a memoir about it, but I don’t feel particularly groundbreaking—I’m sure that if I hadn’t done it, someone else would have sooner rather than later. I’m just happy to get people talking about how hoarding affects families, and I’ll be thrilled if my book allows others to feel freer about exposing their secrets. In recent years, the concept of “hoarding” has gone mainstream; people have familiarized themselves with the term through popular television shows like Hoarders, CleanHouse, and Clean Sweep. What are your feelings about the presence of compulsive hoarding in national media and pop culture? Do you think it is accurately depicted? Overall, I think the television shows about hoarding are good thing. Occasionally they can feel exploitative, but I like the fact that now when I say “my mother is a compulsive hoarder,” almost everyone understands what I’m talking about. Before Dirty Secret was published and when the television shows were just beginning, I’d have people who didn’t know what hoarding was—they’d never heard of it. After a while of me trying to explain they’d say something like, “Oh, right, a crazy cat lady!” Now people are beginning to understand that hoarding is a mental illness, just like schizophrenia or bipolar disorder. In general, I think the shows accurately depict hoarded homes, although it’s important to remember that they usually show the most egregious cases. Hoarding itself is a difficult disorder to accurately depict in a one-hour show because, in my opinion, it’s very rare to find a person who is just a hoarder. There are so many mental illnesses that go along with it—and each individual is unique in their afflictions and levels of the afflictions—so to really delve into the psychology of each hoarder on the show would require a mini-series at the least. At the end of the book, you mention that other people reacted positively when you told them about your mother’s disorder; many of them said they had a personal connection to hoarding as well. Did this surprise you? This absolutely shocked me. I would say that the most rewarding part of writing the book so far has been those moments when someone tells me about their mother, brother, cousin being a hoarder; every time I hear it I feel less freakish, and it seems the person does as well. I also really appreciate the fact that no one has ever judged me harshly for being the daughter of a hoarder. No one. Maybe that expression is true: all our secrets are the same. I only wish I’d known it earlier, because I spent way too long being ashamed of something that didn’t warrant it. On page 225, you describe your feelings of hesitation as you considered joining the Children of Hoarders online support group. What advice would you give to someone who was experiencing similar hesitations? I would say that I understand the hesitation, but to go for it. You can always join under a pseudonym and lurk until you feel comfortable posting. There’s so much to learn and it’s just an incredible feeling to find people who understand exactly how you feel. It changed everything for me. Did you have to do a lot of research for this book, or did most of your knowledge of the disorder come from years of having been in such close proximity to it? I did a lot of research for the book. I read everything I could get my hands on: books, academic articles and studies, interviews with experts; I also interviewed one of the most renowned specialists in the field. I enjoy the research process, so it didn’t feel like work at all. I think having been in such close proximity to hoarding helped in terms of recognizing parts of it—for example, the information-processing deficits that most hoarders have—but otherwise, before I began the writing and the research I really didn’t know much more about the disorder itself than, say, a viewer of "Hoarders" or "Hoarding: Buried Alive." You’ve written numerous articles about health-related issues. Do you find that your research process is different for an article about an issue that hasn’t affected you personally? Similarly, which did you find easier to write—a work you could distance yourself from or one that was so inevitably tied to your own life like Dirty Secret? That’s a good question. The process of writing Dirty Secret compared to an article (besides the obvious fact that my health articles are not book-length), was different in that I had to think of it in terms of scenes, with information about hoarding worked in throughout. I started out as a fiction writer, so I’m used to thinking in terms of arc and story, and I think (I hope!) that helped in terms of the narrative structure. And being part of the story, rather than writing as an outsider looking at a disease I’d never encountered, probably made it a little easier overall. But in terms of the research, it was pretty much the same: search for articles and studies, contact experts for interviews, hope they’ll get back to you, and so on. Could you recommend some books or websites for people who want to learn more about compulsive hoarding? I highly recommend a fascinating documentary about a daughter dealing with her mother’s hoarding called “My Mother’s Garden,” by Cynthia Lester. There’s also a wonderful young adult novel called Dirty Little Secrets by Cynthia Omololu— the hoarding details are spot-on, plus it’s suspenseful and well written. The book Stuff: Compulsive Hoarding and the Meaning of Things by Drs. Randy O. Frost and Gail Steketee uses case studies to explain hoarding in easily understandable terms. As for websites, I would recommend starting with Children of Hoarders (www.childrenofhoarders.com). Even if you aren’t the child of a hoarder you can look at the main page where they have an extremely thorough list of links and lots of information that’s fitting, no matter where you fall on the spectrum—a child of a hoarder, a sibling, or maybe someone who’s just curious about it and wants to know more. If you are the child of a hoarder I also strongly encourage you to look at websites for adult children of alcoholics. In terms of aftereffects, the overlap between children of hoarders and children of alcoholics is huge. I’ve just begun working on a literary thriller- type novel about two sisters. I’m also really fascinated by phobias—their history and potential cures—and hope to write about them someday. Jessie Sholl's essays and stories have appeared in national newspapers and journals. She is coeditor of the nonfiction anthology Travelers’ Tales Prague and the Czech Republic and a contributor to EverydayHealth.com. She holds an MFA from The New School University, where she currently teaches creative writing. "Sholl explores the psychological reasons why being merely a pack rat can erupt into full-blown hoarding. By the end you're sympathetic to both mother and daughter and understand how a parent's obsession can become a child's." "With her bold prose and ceaseless courage, Jessie Sholl tells a mother-daughter story like no other. Get ready for a visceral read: just a few pages in to DIRTY SECRET, you'll be scratching your ankles, dabbling your eyes, and -- when you're finished -- frantically cleaning your house." 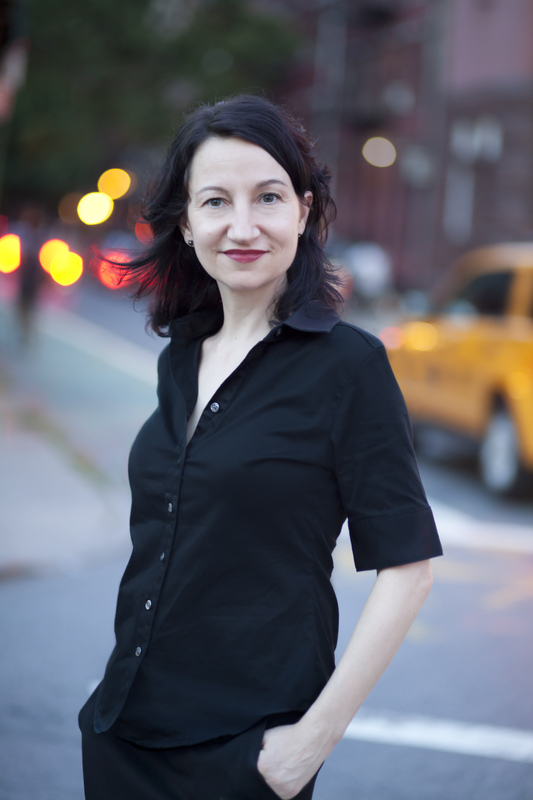 - Stephanie Elizondo Griest, author of "Around the Bloc" and "Mexican Enough"
"Mining a story of damage inflicted and damage sustained, Jessie Sholl conjures a narrative of surprising interconnectedness, even uplift. Wry and illuminating, Dirty Secret is an empathic and insightful memoir." "When a grown child tells the story of a troubled parent, three things are needed: exacting detail, unflinching honesty, and - most of all - unconditional love. Jessie Sholl's "Dirty Secret" beautifully contains them all." - Dan Koeppel, author of "To See Every Bird on Earth: A Father, A Son, and A Lifelong Obsession"
"Suspenseful and novel-like, Dirty Secret is a wonderful, respectful introduction to the world of a hoarder and the tribulations suffered by both the individual who hoards and their family members." "From a literal mess of a childhood, Sholl has emerged to tell a compelling and sparkling-clean story that will captivate anyone who has ever tried to let go of the past." -Elisabeth Eaves, author of "Bare" and Wanderlust"
"Sholl coaxes tragicomic elements from the depressing proceedings—as when everyone contracted a seemingly incurable case of scabies, courtesy of her mother’s hellhole, or the time she discovered the cremated remains of her mother’s longtime boyfriend buried under a pile of yarn, two lava lamps and a stack of old newspapers. Most poignant, though, is the secret shame and embarrassment of her mother’s strangeness that Sholl lugged around for so many years. Eventually, she found sympathy and understanding... Affecting and illuminating." "[Sholl] offers a compelling and compassionate perspective on an illness suffered by an estimated six million Americans that has only recently been explored through reality television programs."